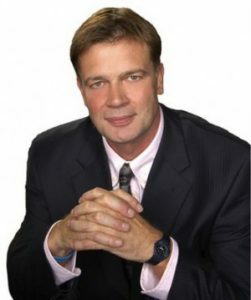 For those who have not had the time to read the 6 parts of CDC – The Vaccine Fraud, I am doing a summary so you can take in the salient points. I know how difficult it is for parents and carers to find information about vaccines, especially when they are only told one side of the story from pharmaceuticals, doctors and other medics. Too much pressure on parents. Unfortunately, the guidance parents are given are often weighted on the side of the childhood vaccine schedule and many are pressurized to having their children religiously keep up with that schedule. If they baulk and try to opt out, their doctors are likely to strike them off their register. Parents are really bamboozled into vaccinating their children as well as themselves ie. the flu vaccine. States such as California can be quite bullish if a parent doesn’t want their child vaccinated and in some cases it can get nasty. Mandatory vaccines are so stressful for parents, especially if they are nervous about side effects and we all know there are side effects, that’s why there is the Vaccine Court which has so far dished out nearly $4 billion to the vaccine damaged. Doctors are somewhat under the thumb and have no option but to go with the flow of the pharmaceutical industry protocol, otherwise they will be repremanded or worse, they could have their license pulled. Vaccine safety is not proven! We are so trusting, we need to stop, think and be logical. Why is big pharma so adamant about the safety of vaccines when safety has not been proven? Could it possibly be because parents are getting suspicious and worried and are thinking twice before going ahead with the schedule? If parents decide not to have their children vaccinated, how will that affect the profits of the pharmaceuticals? Why do you think it was made mandatory? Know your pharmaceutical industry’s standards of behaviour. The Vioxx tradegy is a prime example. “we may need to seek them out and destroy them where they live…” An estimated 50,000 people were killed by Vioxx. Dr Wakefield voiced his opinion about the MMR vaccine and they did just that, hunted him down and destroyed him where he lived, in the UK. He now lives in the US and fights for safety procedures to be put in place regarding all vaccines. His name is now known and respected worldwide. Destroying his career has actually backfired on the pharmaceutical industry. The results of this study regarding the DTP (Diphtheria-Tetanus-Pertussis) vaccine were unexpected and shocking! Do you ever see the vaccine information sheet when your child is vaccinated? Includes some figures on the history of measles, showing that the deathrate from this childhood disease hasn’t changed from the 1950s despite the vaccine. 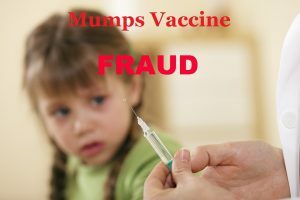 Another Merck scandal regarding the mumps vaccine this time. Death rates recorded in 1947 were just 3.5 per 1 million people. Tetanus is everywhere which gives most of us a natural immunity! They have all broken the law, many times…do you trust them? You are suing the government, how well do you think you’ll do? You have no access to any documentation the defendant (the government) has about the vaccine; no research, no papers, no memos, no emails or letters, nothing. You are going into court blind! Document everything that happens to your child after a vaccine; videos, pictures, visits to the doctors, what you said to the doctor, everything! You have to prove you’re at least a 60% disabled to get this payment. But to add insult to injury, a vaccine damage payment can “effect other benefits and entitlements”. 72 doses of vaccines are given according to the 2017 childhood schedule, with some of these given as multiple vaccines. The safety review period for a drug is usually years ie. Lipitor was 4.8 years. What is the safety review period for a vaccine? Why give a Hep-B vaccine? What’s the point of giving this horrid vaccine to a newborn? Try to avoid your baby having this vaccine but you’ll have a job on your hands, especially in the US! Why are the majority of infant death put down to SIDS? If your child dies suddently, could it be a reaction to a recent vaccine? How many of you have children with ADHD for instance, or tics, or asthma? Does your infant have seizures, or is he/she always crying inconsolably? Did your child have a reaction after a vaccine and did your doctor or nurse say it was normal? It is not normal! The rotavirus vaccine has a serious side effect which is not often aired or spoken about. If a vaccine is passed to be put onto the childhood schedule, that vaccine will yield a $1 billion product in just one year. 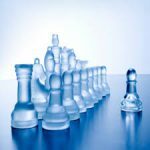 “The CDC grants blanket waivers to the ACIP members each year that allow them to deliberate on any subject, regardless of their conflicts, for the entire year”. Your government is not looking out for you. You need to take control of everything. 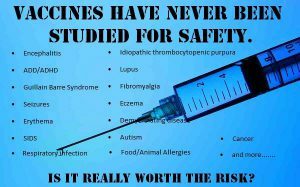 Check independent research on every vaccine and drug that goes into your body. 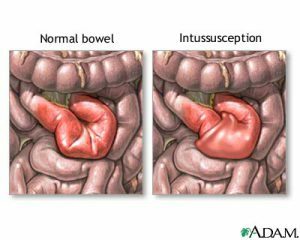 Every procedure that your doctor recommends. 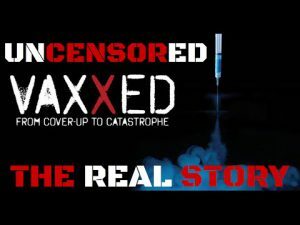 This is the trailer of this remarkable documentary about The Vaccine Fraud. If you haven’t seen it, then it’s worth a look. 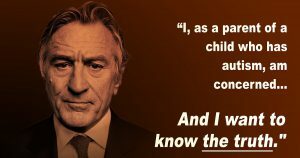 It was actually banned from a famous documentary festival despite Robert DeNiro (who has an autistic son) wanting it included. Unfortunately, he was voted down. Despite REP Bill Posey having all the evidence in his possession about The Vaccine Fraud and asking for Congress to subpoena whistleblower Dr William Thompson, the CDC resists and refuses. Who’s in charge here, the CDC or the Government? The CDC thought of a computerized system run by a private company. The company set it all up and was paid $1 million to do it. They did a sterling job, so what happened? The CDC lies about the 2011 IOM study citing it as saying ” Vaccines Do Not Cause Autism” which was never said in this 700 page document. The 2032 prediction of 1 in 2 US children having autism doesn’t look so impossible now. When will it end? I sincerely hope you have found some useful information in this extensive article CDC – The Vaccine Fraud. perhaps you don’t agree with it? Even so, you have to agree something is really amiss here with fraud abounding in government agencies and in the pharmaceutical industry. I only hope the Government comes to its senses before it’s too late. The public at large is the only force that can change the Government’s direction! Problem is, money and power seem to be in charge, at the expense of our future! For those that don't have the time to read this lengthy post, here is a summary with links, so you can pick out the bits you're interested in. I really appreciate this article and this summary of the vaccine fraud summary. Between my husband and I, we have 6 children. All of our children have been vaccinated. That being said the youngest is 17 and the oldest 25. At that time it was not a major point of talk or controversy. Thankfully all 6 healthy and no issues or side effects. I never gave much thought to whether to vaccinate or not. It was something that you did. Just as our parents before had done. The more that I read, the more concerns and flags it raises. However, I do like to research and look at both sides of the argument. I will not make a stand until I have a clear understanding of all the facts. This summary helps to make understanding your stance easier. Looking at just one part of this summary, in concern for Autism. Is there any research that you are aware of that has looked at unvaccinated children an autism statistics? Pharmaceutical companies are a huge concern for me but I also have great concern for our food industry as well. Is it possible that these statistics for vaccines may also be related to the number of artificial chemicals and treatments that have changed in the average consumer’s diet? Perhaps there is a correlation between the results as well and the rise in these horrible side effects. Just a food for thought and something I ponder. Hi Christina and thanks for your valid comments on this huge subject. Answering your question on autism research, with their record of massaging figures and fraudulent activities, it is very difficult to take the pharmaceutical industries’ research seriously nowadays. This is great shame but now a recognised problem. Consequently finding unbiased studies is quite problematic. This particular study though, used vaccinated versus unvaccinated children of ages 6 thro’ 12 years and addresses many problems with autism (ASD) included and you may be interested in reading it. I quite agree with you about the food industry and of course the chemical industry. All three major industries seem to be devoid of morals and have no problem selling their often poisonous wares to an unsuspecting public. Misinformation abounds throughout the medical industry regarding nutritional benefits of vital vitamins and minerals. Did you know, medical schools do not teach nutrition. I know more about nutrition and what my body needs than my doctor does! Doctors only know about drugs and the sick body and information they gain about those drugs comes directly from the pharmaceuticals, who are out to make as much profit as possible. Hi. Im glad my parents had me vaccinated. Although I am probably on the spectrum slightly, I did manage to avoid a large number of contagions when at school. I do agree that there are risks with vaccinations, but sometimes the benefits outway the risks. Just my educated thoughts. What do you think? I think Snow, if you did some research regarding the necessity of some vaccines, you may be surprised. For instance in the 1900s the deathrate for mumps was just 30 per 10 million. Hardly a reason to break out a vaccine. This money could be better spent. The same goes for tetanus which was just 3.5 deaths per 1 million in 1947. There are many vaccines on the market of dubious efficacy, not to mention the lack of safety research. Hence the ominous rise in vaccine damage to some unfortunates. Some vaccines are undoubtedly of benefit but some should be put in the bin and would appear to be on the market for one purpose only, to make a profit. Take the flu vaccine for instance.. I naturally contracted measles and rubella at age 5 and 13 respectively, which has given me a lifetime immunity. Natural immunity is by far the most efficient and safest way to strengthen the immune system. Thanks for your comment! Thank you for sharing this helpful summary of these shocking but very real crimes against humanity. I have been aware of this travesty for over fifteen years, and warn everyone who will listen. The so-called “safety-studies” for childhood vaccines are a total sham; no comparison is ever made between the vaccinated and the unvaccinated, so of course the side effects and death rates are touted as statistically insignificant. Even I am shocked at the latest 2016 statistic: 1 in 36 with autism. What is more important than protecting our children?? Thanks for your comments Abbee. There is only one thing more important than our children to these huge industries and that’s profits. The sooner we all realize that this is their prime objective, the better. Here we are, all queuing up to have our children vaccinated with heaven knows what, with no safety studies done. We are just a lot of sheeples and I find it so frustrating that nobody in the Government has the courage and nerve to face up to the pharmaceutical industry or even their own agencies! 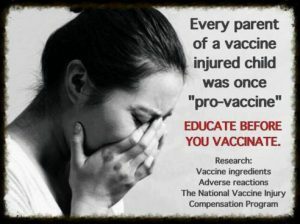 We need to step back, stop mandatory vaccines, start safety trials as was done in Africa and as the fraudulent CDC did. The CDC has put vaccine research back by years with their shenanigans. Let the parents decide if they wish them and/or their child to be vaccinated. We all know that there is a possible link between the MMR multiple vaccine and autism. Despite the CDC destroying that evidence. Whistleblower Dr Thompson, kept all the relevant files and digital information regarding that telling research. But still Congress is dragging its heels and has not yet subpoenaed Dr Thompson after nearly 4 years! The CDC will not allow it!! Oh excuse me, I thought the Government was in charge of the agencies, not the other way round. What’s going on? Why don’t they want to know the truth? There have been studies done by independent researchers, who have no affiliations to big pharma. Here are a couple: https://www.ncbi.nlm.nih.gov/p… and http://www.academicjournals.or… The CDC will pay no heed to this research though, only that done by a fraudulent pharmaceutical industry. Take a look at this! I couldn’t agree more. Vaccines should be optional but we are generally under pressure to vaccinate. We have a history of damage from vaccines in my family, so I wasn’t vaccinated as a child and I didn’t vaccinate my daughter when she was a baby either. I think one of the problems is the lack of real information available to people: it’s either manipulated or just pure marketing. Hi there Soraya and thanks for your comments. It is surprising how many families have a child damaged by vaccines and many are suspicious that their child has been damaged but can’t prove it. Most doctors will say it’s a coincidence. In my own family, we have 3 suspected vaccine damaged children, but they will never be compensated. Education of the masses is the key. We must not leave our health up to our doctors anymore, they are not their own person, they are not allowed to think for themselves, they must follow protocol, or else! We must take responsibility for our own health and the health of our children. We must do our own research and speak with a united voice! OMG! what a great article! I have believed all along that we are being forced to vaccinate. That poor baby in the picture:( This is something that needs attention. I feel the same with flu shots, I never get them. Do you feel the drug companies are the reason behind all this? I do, it’s a multi billion dollar business. Hi Jim, yes I do believe the pharaceuticals are behind this, as are the junk food industry and the chemical industry. These large consortiums are so powerful, they control just about everything, including the government. I know this sound conspiratorial but once you start researching this subject and looking into the depths, you cannot believe what’s going on and how ruthless and stony-hearted many of these companies are. For example, take a look at this list of largest fines. Would you trust these companies?